If you have a car like me that doesn’t have an AUX port or built in Bluetooth, then you’re probably finding yourself in the same situation that I was in. Which is not being able listen to locally stored music on my phone through my cars speaker system. When I’m paying £10 a month for Spotify premium, it should be pretty obvious I want to be able to listen to my library whilst driving. At first, I didn’t think it was going to be possible without an AUX slot, however with a bit of research, I came across a permanent solution. Well, it’s called an FM Transmitter. There are loads of different ones available at online retailers such as eBay and Amazon. The specific one I purchased was £12.95, so it wasn’t too expensive. A few of these transmitters have a single (or multiple) USB port also built in to it for you to charge your device whilst driving. FM Transmitters will need to be plugged into the cigarette lighter in your vehicle to power it. Once it is powered, it will create a radio frequency for you. You can then tune in to this frequency on your radio. Pretty simple. On some of these transmitters, you can select a specific frequency so that it doesn’t collide with any others, or you may not have a choice in the matter. It all depends on which device you purchase. When the transmitter is powered on and is creating its own frequency, you will have to connect to it via your phones Bluetooth. 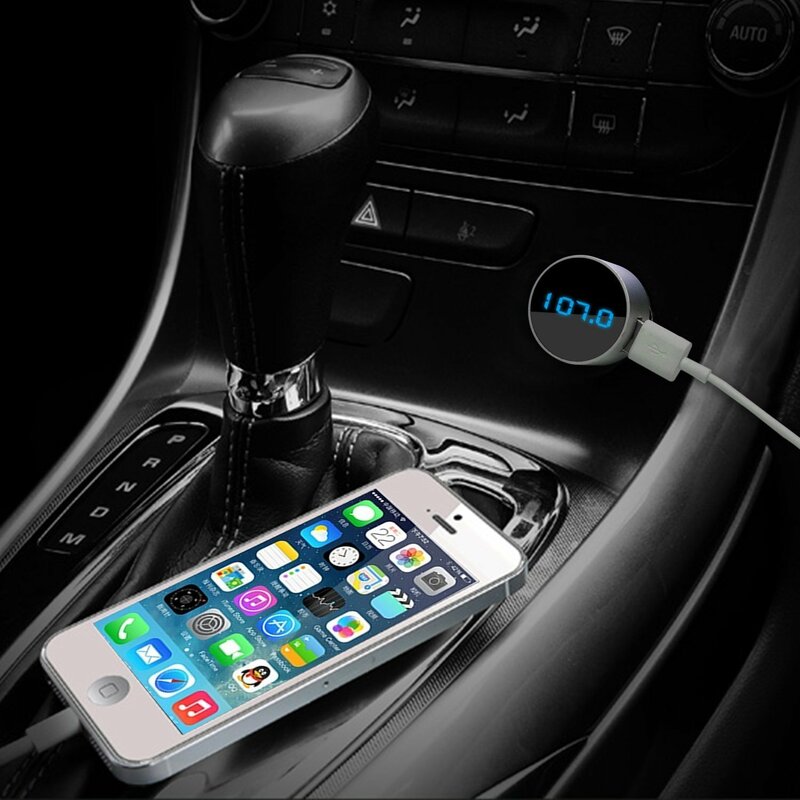 You can then play music from your phone through your cars stereo without any built in tech or an aux slot! I’ve included the link to the specific one I purchased on Amazon, which works great and also looks sleek and modern with a digital display. It also has 1 USB Port built into it.